Do Bigger Brains Equal Smarter Dogs? Bigger dogs, with larger brains, perform better on certain measures of intelligence than their smaller canine counterparts, according to a new study led by the University of Arizona. Larger-brained dogs outperform smaller dogs on measures of executive functions – a set of cognitive processes that are necessary for controlling and coordinating other cognitive abilities and behaviors. In particular, bigger dogs have better short-term memory and self-control than more petite pups, according to the study published in the journal Animal Cognition. Canine brain size does not seem to be associated with all types of intelligence, however. Horschler found that brain size didn’t predict a dog’s performance on tests of social intelligence, which was measured by testing each dog’s ability to follow human pointing gestures. It also wasn’t associated with a dog’s inferential and physical reasoning ability. The study’s findings mirror what scientists have previously found to be true in primates – that brain size is associated with executive functioning, but not other types of intelligence. Horschler’s study is based on data from more than 7,000 purebred domestic dogs from 74 different breeds. Brain size was estimated based on breed standards. The data came from the citizen science website Dognition.com, which offers instructions for dog owners to test their canines’ cognitive abilities through a variety of game-based activities. The users then submit their data to the site, where it can be accessed by researchers. Short-term memory was tested by dog owners hiding a treat, in view of their dog, under one of two overturned plastic cups. Owners then waited 60, 90, 120 or 150 seconds before releasing their dog to get the treat. Smaller dogs had more difficulty remembering where the treat was hidden. To test self-control, owners placed a treat in front of their seated dog and then forbade the dog from taking it. Owners then either watched the dog, covered their own eyes or turned away from the dog. Larger-breed dogs typically waited longer to snag the forbidden treat. Horschler and his colleagues controlled for whether or not the dogs had been trained. They found that larger-brained breeds had better short-term memory and self-control than smaller dogs, regardless of the extent of training the dogs had received. In the future, Horschler said he’d like to do comparative studies of cognitive abilities in different breed varieties, such as the miniature poodle and much larger standard poodle, which are essentially the same except for their size. 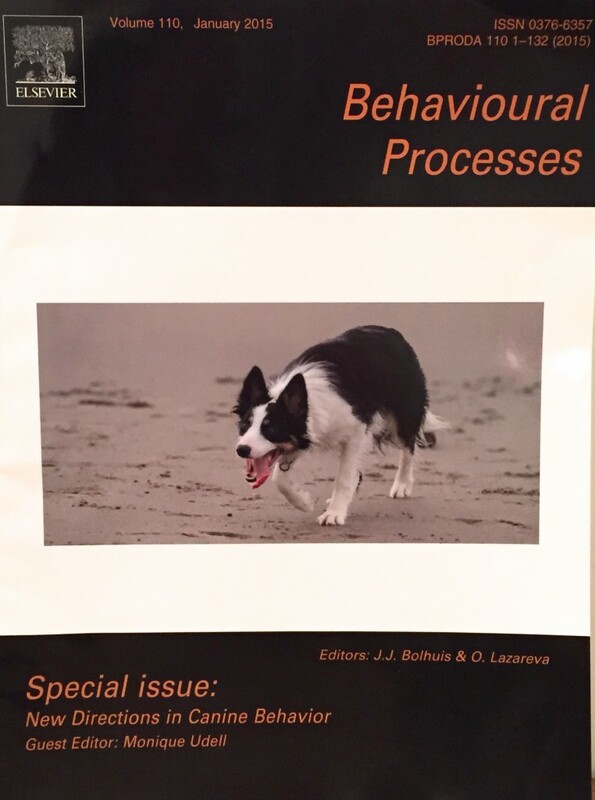 The January 2015 special edition of the journal Behavioural Processes is fully online (until January 2016). This means you can download .pdf copies of fifteen interesting research articles about dogs and behavior. In the opening editorial of this journal, Monique A.R. Udell says that research into social development and cognitive evolution of dogs is just beginning to scratch the surface despite the long history of the human-canine relationship. I am particularly interested in these fields of research (as my many blog postings under the category of ‘research’ show!) because of the work I do with dogs. 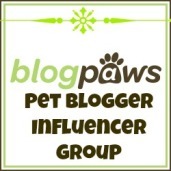 Understanding dogs is critical to working with them in a holistic approach to health. My only criticism of journal articles generally (not just this journal) is the odd and often long names that researchers choose for the title of their articles. It is just one indication that researchers work in a different world from generalist audiences; they are often judged in peer reviews for language this is technical. In my experience as a research manager, I have also found that most academic researchers write in a style using long sentences and paragraphs. Some of these articles are easier to read than others because of this. Why do adult dogs ‘play’? Do you see what I see? Can non-experts with minimal training reproduce expert ratings in behavioral assessments of working dogs?